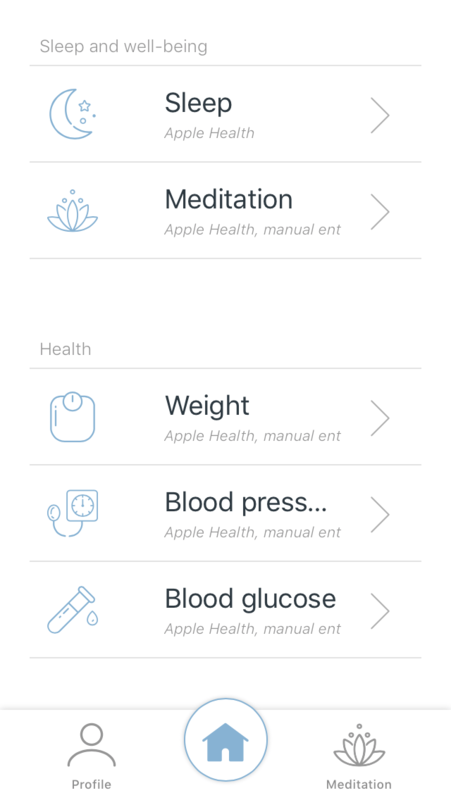 As soon as all of the data from your different sources has been imported, you can start exploring your health. DeepH explores 4 groups of parameters to estimate your overall well-being and define your Health score. 1. 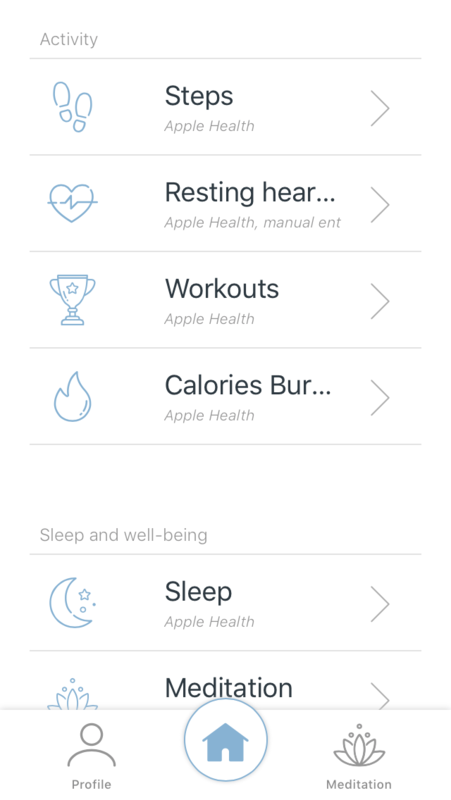 Activity Steps, Resting Heart Rate, Workouts, Calories burned. 2. Sleep and wellbeing Sleep, Meditation. 4. 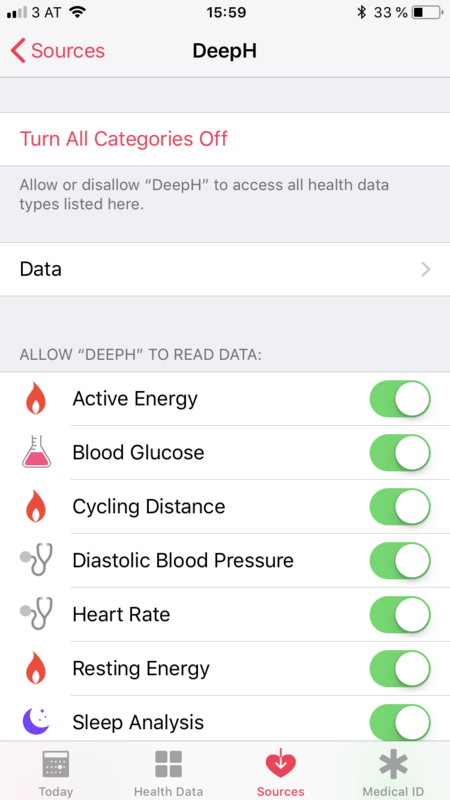 Lifestyle Smoking (We are currently working on adding alcohol and water consumption measurements to the DeepH app). 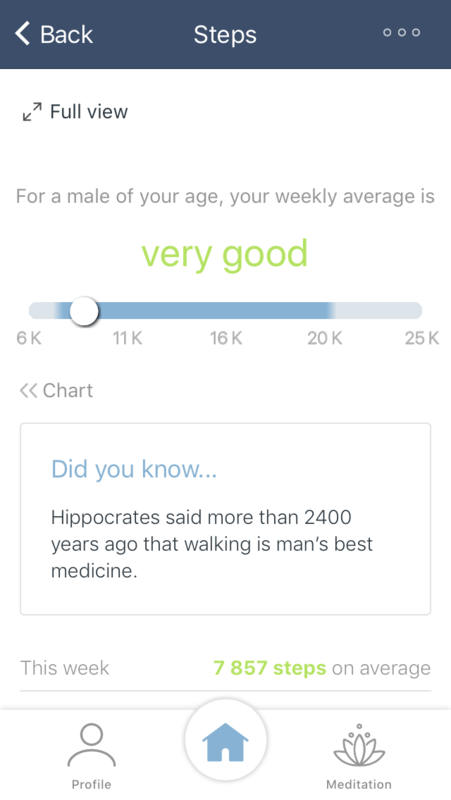 Your steps will be shown on a daily basis, and you will be able to check your weekly average. We will also give you feedback and tell you if your score is below average, average or above average for a person of your age and gender. We will also provide you with useful health tips and facts. RHR is the most important measurement for your heart as it indicates how healthy your heart is. The DeepH algorithm shows the lowest measurement of the day. 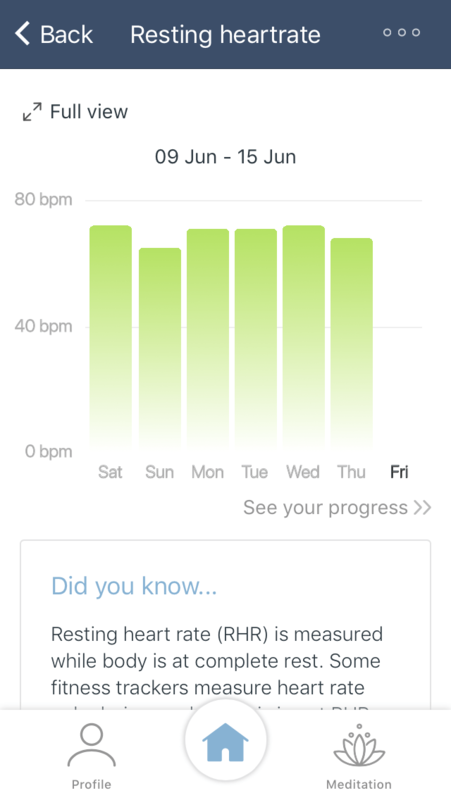 You can get instant feedback on your current Resting Heart Rate level in the ‘see your progress’ link. 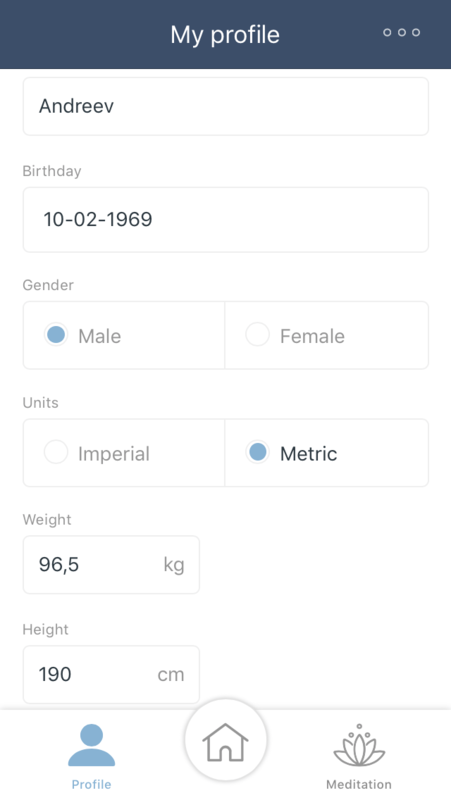 The history of all measurements is also saved and represented in your profile.